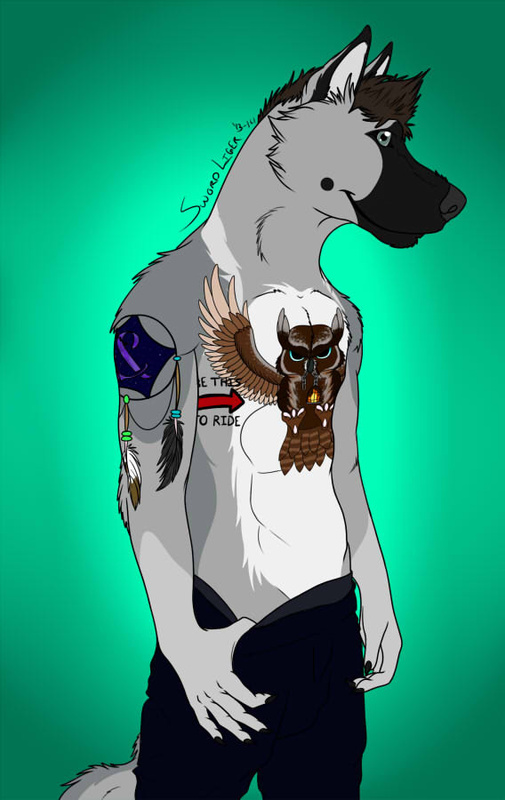 After weeks of deciding on a basic design, it took me about two months to decide on his tattoos. And there are still some in the works that may or may not get added later. Brief description: He is a very confident yet sweet and gentle guy. Unless you mess with Alerion, then he will knock you out. He loves to make music and travel. He is (female) Alerion's mate. Any resemblance to any existing character is purely coincidental and in no way intended.